Stepping Stones uncovers and maximizes the potential of bright students with speech and language delays through an intentional, systematic, and multi-sensory approach to learning within a collaborative preschool environment. Stepping Stones is the only multi-disciplinary program of its kind in Georgia, focused entirely on maximizing the brain development of 3 to 5 year old students with mild to moderate speech and language delays. 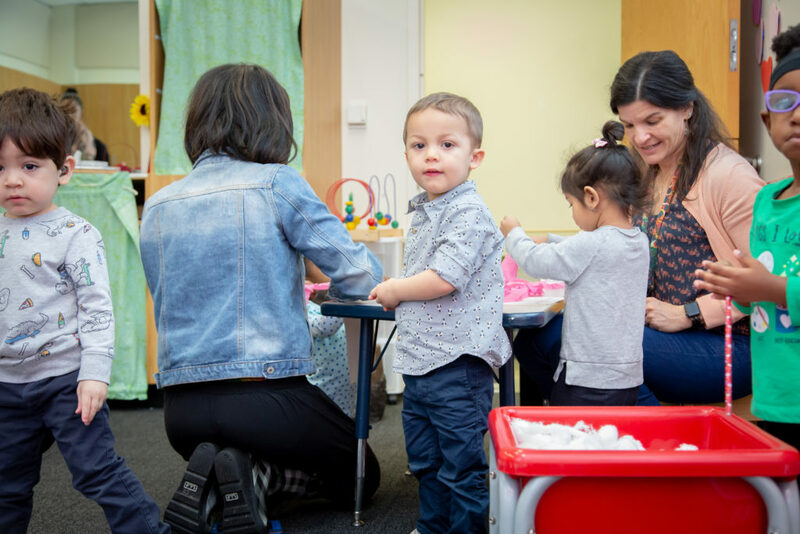 In Stepping Stones, Masters-level clinicians and teachers use the most current brain science while individualizing instruction for each child in their care. Our specialists work with each child to ensure they leave Stepping Stones as active, engaged learners prepared for elementary school. A teaching team consisting of a Speech-Language Pathologist, an Education Specialist, an Occupational Therapist, and an Assistant Teacher engage in a collaborative approach to serve each child as an individual while implementing a robust preschool and kindergarten curriculum. Stepping Stones students make extraordinary strides when surrounded by supportive and highly skilled educators. Our team of professionals have access to the most current research and individualize the educational experience to meet the speech-language, academic, social-emotional, fine motor, gross motor, and sensory processing goals of each student. Children learn speech and language most rapidly in the first five years of life. Solidifying foundational learning skills during your child’s most active period of brain development maximizes growth as he\she prepares to enter elementary school. Reading is not a natural or automatic function of the brain. According to evidence-based research, circuits specific to reading must be built before a child can learn to read. The Atlanta Speech School holds construction of the reading brain as the connecting thread that runs through all our schools and programs. 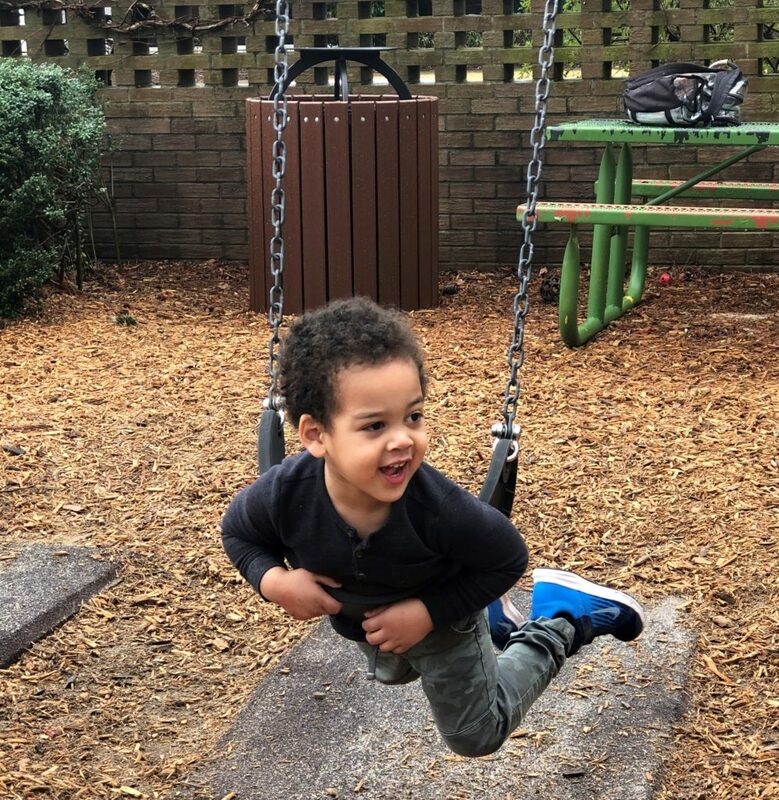 The first years of a child’s life set the stage for a lifetime of learning, making early interactions and experiences paramount to their development. Like all Speech School programs, Stepping Stones focuses on the entirety of your child’s educational environment so they can develop the critical skills necessary for meeting their full potential in later years. Every program at the Atlanta Speech School strives to empower children with a lifetime of language and education. We rely on the generosity of our neighbors, parents and community leaders to ensure every child in Atlanta can excel in their educational journey.